The Bruins are not in a very fun spot right now. They are currently one point ahead of Detroit of not being in the playoffs, and have two tough road games coming up. Friday night they roll into town to play the steaming hot St. Louis Blues. The Blues were one of very few teams this year to shut out the Bruins. I’m expecting a very tight defensive battle with few goals like the first game which ended 2-0. This might be one of the biggest games of the year, simply because they need every single point possible. The Bruins have been facing a big injury bug lately. 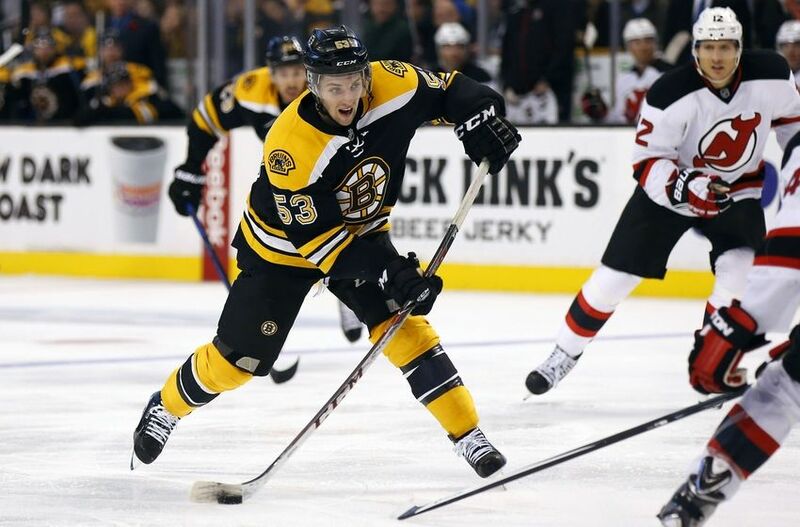 Krejci, Spooner, Connolly, and Seidenberg have all missed practice this week due to nagging injuries. That has led to call ups from Austin Czarnik and Seth Griffith. Czarnik has since been returned to Providence, thus making me think that Krejci or Spooner will be ready to go in St. Louis. With Connolly and Seidenberg left behind in Boston to rehab their injuries, you could see Seth Griffith slot into the lineup. That fourth line is a bit of a mess, but any three of those guys are well deserving at getting a shot at the right wing spot. Also, look for Joe Morrow or Zach Trotman to slot in for the injured Dennis Seidenberg. I have a good feeling it will be Morrow based on how good he has looked filling in for Liles. I will also be in St. Louis for this game Friday night! Look for me right behind the Bruins bench and make sure you take a picture and tweet it to me!